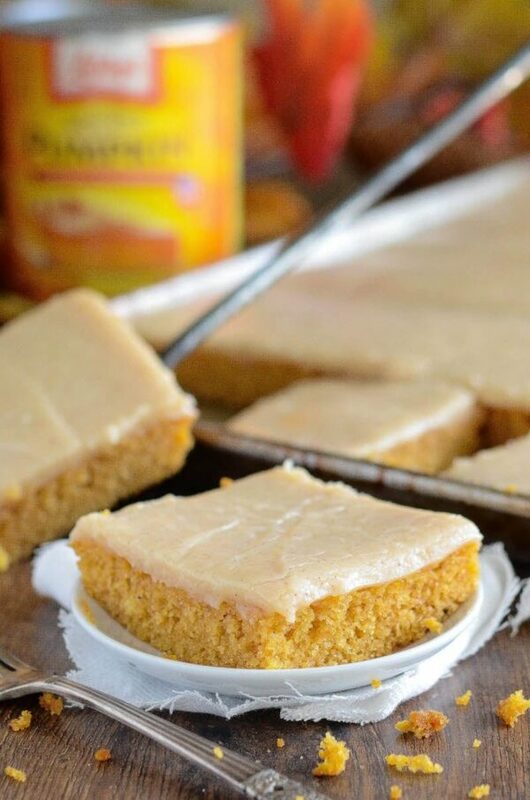 Pumpkin Sheet Cake: this easy homemade spiced pumpkin cake, is made in a sheet pan, in just 30 minutes and frosted with a creamy cinnamon cream cheese icing! PUMPKIN SHEET CAKE! I feel like I need to shout that out loud because it’s SOOOO good. I wish there was a scratch and sniff button for screens right about now. Y’all would be dying for a slice if you could just smell this crazy delicious pumpkin cake. This cake might actually have surpassed my previous favorite pumpkin cake — the famous Pumpkin Dream Cake. Are you shocked?? I know I am! That cake has reigned supreme since 2012, but I think it has finally been beat. And to be honest, the only reason this Pumpkin Sheet Cake might win that fight is because it is SO much easier to make. It’s still a from scratch, totally homemade cake, but it only takes 30 minutes to make? Are you sold yet?! This Pumpkin Sheet Cake is a moist spiced pumpkin cake that uses melted butter for easiness. Then you pour on some gorgeous cinnamon cream cheese frosting that sinks a little into the cake as it cools. It’s pure heaven! I made this cake while Jorge was out of town and I seriously could not stop myself from eating it. It was so bad, that I started slicing it up and taking it to neighbors immediately. I did not have a choice — I HAD to get it out of the house ASAP or I was literally going to eat the entire pan all by myself. This cake recieved some of the best reviews I have gotten in a long time. Multiple people were convinced I bought it somewhere and everyone insisted on having the recipe ASAP. That is always a good feeling! This Pumpkin Sheet Cake is similar in baking style to my other two sheet cakes: White Texas Almond Sheet Cake and Chocolate and Peanut Butter Sheet Cake. You will need a heavy duty 13 X 18 sheet pan for baking the cake in. In a pinch, you can bake it in a 9×13 pan, but it will take longer to bake and the cake to icing ratio will not be as perfect. This cake travels wonderfully so it is great for a party or a potluck. However, it is also divine if eaten all alone, while standing over the sink, shoveling it in with a giant fork. Preheat oven to 350°F. 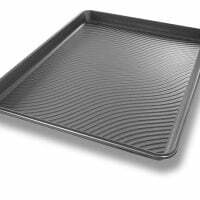 Grease a 13 x 18 jelly roll pan with butter or spray with Baker's Joy. In a large bowl, whisk together melted butter, milk, pumpkin and sugar. Whisk in eggs and vanilla extract. Then whisk in flour, baking soda, pumpkin pie spice and salt. Pour batter into prepared jelly roll pan and bake for 20 minutes, or until a toothpick inserted in the center comes out clean. Cinnamon Cream Cheese Frosting: in a large bowl cream butter and cream cheese until smooth. Beat in milk, vanilla extract and cinnamon on low speed until combined. Then whisk in powered sugar - beating on high until frosting is smooth. Spread frosting on top of cake. Refrigerate cake until ready to serve, and let cake rest on counter for 10 minutes before serving to let it warm up just a little. 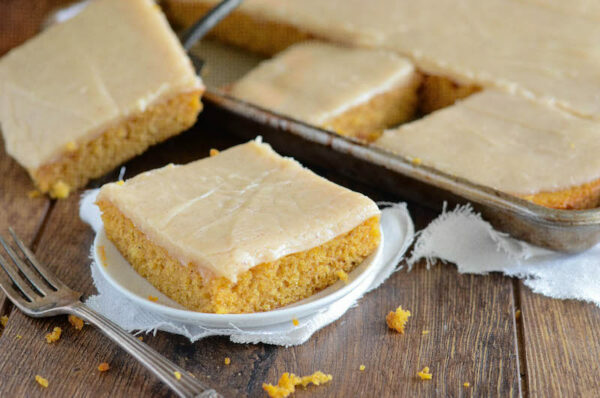 You can’t go wrong with pumpkin sheet cake! Just a thought have you tried to turn it out on a powdered sugar towel put icing on then roll like a pumpkin roll it would be easy to transport . Oh, this cake is right up my husband’s alley! I’ll definitely have to make it for him. . .and then promptly take it to work so he doesn’t eat the whole thing! 🙂 The cinnamon cream cheese frosting sounds divine! This is perfect for a crowd. I am totally craving cake right now — this looks amazing! This will be on my list of must makes this Fall! Yum! This looks so amazing, it’s the perfect addition to dinner tonight! I need this sheet cake! Yum! This looks soo good! The link you have to the pan is for a half sheet. I was wondering if I got the quarter sheet pan, would that work to halve the recipe? My family isn’t full of pumpkin lovers so I don’t want to make such a large amount. Hi Cheyenne! The quarter sheet pan isn’t a true half size, but it is a good deal smaller than the quarter sheet pan. So yes, the batter should definitely fit in the pan, however it might cook a little quicker. So just keep an eye on it in the oven! 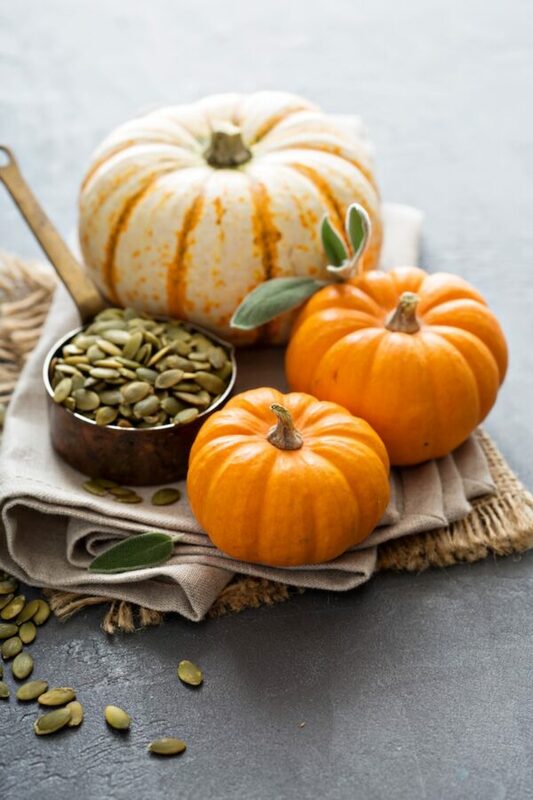 Do you grate the pumpkin before adding it.could you explain in which form you add it? Hi Shanika, this recipe uses canned pumpkin puree. You can also make your own pure pumpkin puree. You do not want to use uncooked grated pumpkin. This may be a weird question, but I was wondering if you had any ideas on how to transport and present this after it’s been cut. I want to try a piece before I bring it to my friend’s house tomorrow lol. Hi Valerie! That’s the only issue with a sheet cake haha! The only way I have found to display it if I try to cut it first is to arrange it on a large platter. But I do find it so much easier to transport to a party when I leave it in the pan. I was thinking the same thing and I may cut the squares to fit small flattened cupcake circles and arrange in something to transport. I am going to make it this weekend and try the cupcake round before Thanksgiving. So how did your cake turn out after you used the whole can? I hate the thought of wasting the rest of the can. This looks wonderful, Jessica! Thnx for sharing. I would love to add some walnuts. What do u think?? I think walnuts would be great!! Hi there…. I am wondering if I could make this in a 13 x 9? Hi Jeanette! You can definitely use a 13×9 cake pan/casserole dish. It will take a little longer to bake and it will be a thicker cake instead of a true sheet cake, but will still be delicious! So… maybe 350 degrees for thirty minutes in a 13×9 casserole dish? I definitely want to make this. Yes, I think it should take about that long. Just keep an eye on it! Made this cake for Church tonight. Smelled wonderful. We microwaved it too…the video says otherwise! The melted butter goes in the cake mix recipe, the other butter is for the frosting! You melt the butter for the cake batter. You DO NOT melt the butter and/or cream cheese for the frosting. The recipe doesn’t say anything about melting the butter or the cream cheese for the frosting. The cake and the frosting are two separate recipes. Beware this recipe is terrible! Had to throw it away. The frosting is listed incorrectly! So pissed…what a waste! My mom, who can’t stand pumpkin pie, absolutely loved this. The whole family is demanding I make it for Thanksgiving and Christmas. Fine by me. Any excuse to make this cake lol! It definitely tastes best straight out of the fridge in my opinion. I microwaved the butter and cream cheese like the directions said.. Followed the directions to the T and it came out perfect for me. Firms up just fine if you let it rest for a while. I will be using the frosting recipe for cinnamon rolls too. I have made this cake once before I did not use microwave for butter and cream cheese!? I just creamed it with a mixer blended them together then added other ingredients! Turned out great!!! This cake really doesn’t taste much like pumpkin. It only has 1/2 cup so I can’t identify a good pumpkin flavor if that’s what you’re wanting. The cake was a bit dry and the icing is waaay too thick for as thin as the cake is. I love anything pumpkin but I cannot recommend this recipe. FANTASTIC! I followed the recipe exactly, and brought it to the hostess for a recent housewarming: it was absolutely delicious…everyone LOVED it!! I’m making it for my company to have after Thanksgiving dinner! I’ll bring it to my sister’s for my food contribution for Christmas!! Thanks for posting this recipe!! How long do you wait to frost it? Thanks! About 15 minutes, it’s still warm but not super hot still! Can you use almond milk instead of regular milk? Yes, it should still work ok! Hi Jessie! That’s really strange, I think you should double check your baking soda. It absolutely is a true cake consistency and nothing like fudge or french toast. Any other kind of frosting to use that doesn’t include cream cheese? Can’t eat anything with cream cheese due to lactose intolerance. Would love to try. Hi! I would recommend you check out the frosting on the White Almond Texas Sheet Cake. You could use coconut milk or almond milk in place of the milk in the frosting. Then just skip the almond extract all together. Just a suggestion from an old school person that likes to print recipes – to use and save. Check out Sally’s Baking Addiction. Hers come out as shown on the computer screen. I loved the LOOK of your recipe when it said “Print” but then this lengthy three pager came out….NOT what it looked like on line. The recipe looks delish and I will try it, but for me as a printed recipe person – how it comes out would deter me from using your site. You just need to highlight the recipe from the website, then use ‘print selection’ when you go to print. This should solve your problem with most sites where you would want to print recipes. Sorry Christina, I have tried this. Doesn’t work. You still get 2, 3, or even 4 pages, doing it that way. I quite agree with you Kristin. The print-out instructions leave a lot to be desired. The only way to do it, is copy the recipe only, paste it to Work, and print it out from there. Ridiculous how when you click on Print, you get pages of stuff you don’t want – like 3, 4, or 5 photos!!! There are a fewe other recipe sites I have come across which are like this. Awful. How can this receipe be made gluten-free ? I have to be gluten free. I haven’t made this recipe yet, but want to try it. In the past, I’ve been able to use gluten free flour mix in the recipe instead of regular flour, same amount. The secret is to sift the gluten free flour & then measure the amount needed. That is because most gluten free flour blends are heavier than the regular flour most people use. The second tip is to use 1 & 1/2 times the leavening agent (baking powder) called for in the recipe. In this case, you would use 1 1/2 teaspoons baking powder. Also make sure your baking powder isn’t old & at least 6 months away from the expiration date. My 2 favorites are Namaste gluten free flour blend (purchase at Costco) or King Arthur Cup for Cup gluten free flour blend (WalMart). These 2 tips have helped me to convert some of my recipes to gluten free. This is a recipe I think it would work well with. Hope this helps. Happy baking! Hi Jo. I am Terry Johnson -Sullivan. I made this sheet cake today gluten free. It is delicious. First let me tell you that you can go to Amazon.com or to Bobs Red Mill.com and get a gluten free flour that is one to one ratio. If your recipe calls for 2 cups of flour then use this type the same way…2 cups. It says baking flour on the package and also 1 to 1. I also used lactaid milk and a new product called “Whey Low” sugar for diabetics. It is 70% lower glycemic level than regular sugar in it’s molecular structure and 5 cal./tsp. it tastes and bakes just like real sugar but pricier. So now I have a lovely cake that my husband who is gluten allergic and lactose intolerant, and my diabetic mom can eat. Check out Bob’s web site for all kinds of gluten free flours and recipes and also in larger sizes for bakers. 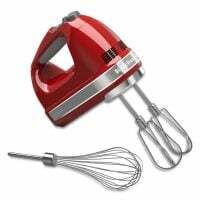 Do you have any quick & easy cakes that I could use a cake mix? When you live alone I don’t have a lot of the extra ingredients. But yo u r cakes sound so great! I can’t find the correct pan size to bake this in. However, found a 12×18. I have plenty of 13×9 that aren’t deep. Will they work. Really want to try this reminds recipe. Looks delicious. 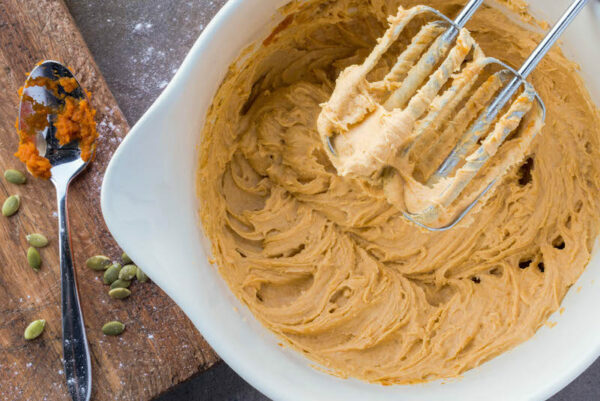 Pingback: 50+ Pumpkin Recipes To Make This Fall – user's Blog! Doesn’t seem like it has enough pumpkin in it. I think it should be increased to 1 cup. Hi Linda! I find mine at the grocery store in the baking aisle near the other canned pie fruits! You want pure pumpkin, not the can labeled pumpkin pie filling. Hope this helps! Please tell me – Why do so many of you leave comments BEFORE you have made up the recipe? We are not interested in whether or not you think it looks lovely, and are dying to try it!!! We want to know what you thought of it AFTER you have made it. The frosting was too much for my cake…too thick on the cake. No worries. I am going to make another cake recipe in cupcake tins. I am about to have lots of friends. Thanks, Margaret, I was thinking the very same thing!! I had to read several reviews to find someone who had actually TRIED IT..
Do u wait until cakes cool to put icing on? Hi Jay! I let the cake cool a little while I whip up the frosting, but I put it on while it’s still warm. I made this cake for work tomorrow. I had to make a second one because the batter is so yummy! Second cake is just to have at home 🙂 I knew I would need a second piece and my husband wanted some of it too. Great recipe, thanks for sharing. So glad you enjoyed it Kerri!!! Omg!! Absolutely the most amazing cake EVER!!! I’m probably going to gain 10 lbs from eating this whole cake lol! Hello, I was wondering if you could tell me how many this serves? Thank you! I don’t have unsalted butter. Could I just use salted butter and leave out the half teaspoon in the recipe? Ever since I made this, I’ve been bombarded with requests to make it again. I have obliged. It is delish! Love to hear that Dawna! Glad everyone loved it!! 5-1/2 cups of powdered sugar in the frosting seems like a lot! Are you sure that’s accurate? Hi Corinne! Yes, that is the correct measurements. Feel free to cut it back if you like a less sweet frosting. Can I omit the salt and use salted butter insted of unsalted butter? Yes, should turn out ok! Most delicious cake ever. Followed recipe as it turned out perfect and I don’t particularly like pumpkin. Its moist and subtle in pumpkin flavor and the icing is the best part. My family ate it all within a few hours. Making 2 for thanksgiving. The very best that I have made. I’ve made it 3 times for church, and no leftovers. Could this same recipe be used to make cupcakes instead of a sheet cake? Hi Ashley, I haven’t tried it and can’t promise it will rise correctly. However, here are my favorite pumpkin cupcakes! How long does this last in the fridge? I want to take to thanksgiving but have to make it in advance. Can’t wait to try! I made this a few weeks ago and brought it to work for my Halloween Birthday. It was fantastic! I added a little more milk to the frosting, just so it was not so thick. Everyone loved it and wanted the recipe. I don’t really care for pumpkin anything, but it was very subtle and the cinnamon was nice. I had about 1/4 of it left over and my husband ate it all in 2 days! I will be making this again for sure! So so so good! I made this for a company potluck and it was a huge hit! I ended up making it in a 11×13 sheet pan because that was the largest I had and it came out just fine. I had quite a bit of icing left over though, which is fine I can find another use for it. I think is the cinnamon in the icing that puts this recipe over the top. So good! Sorry meant 11×17! Worked just fine. I saw a famous chef make pumpkin puree from scratch. When she was done, she moved the finished bowl to the side and sat down a can of pumpkin puree. She said you can use canned puree because it’s exactly the same thing! Looks so good! I’ve gotta make this. All sheet cakes that I’ve done, have always had the frosting put onto the warm cake. Is this the same way or not? It doesn’t say to let the cake cool completely as other cake recipes say to do… thanks! I love pumpkin and I love easy homemade! Sounds like a perfect cake for me! Can’t wait to try it out! Can you substitute buttermilk for the milk in the recipe? Buttermilk is best – you need the thicker texture. If you can’t get buttermilk, you can use milk, but add a teaspoon of white vinegar and whisk with the milk. Let the milk/vinegar mixture rest for 5 minutes before adding it to the batter. For anyone who says it doesn’t taste like pumpkin, just add a tsp or 2 of pumpkin pie spice. That did the trick for me! i made this today. i will make it next time in a smaller pan so its a little thicker but will definitely reduce the frosting recipe…way too much. I put in frig to firm up and I actually scraped off as much as I could…too sweet and way too much especially for a thin cake. flavor is good but i ALWAYS put in extra when it comes to spices and i reduce the amount of sugar in sweet now a days. In general its good …I do prefer the pumpkin roll which this cake i think would allow you to do. This cake is amazing! Bought a sheet pan specifically to make it, and was not disappointed! I’m thinking cutting it to make a 4 layer cake for Thanksgiving. I really want to try your recipe but can you give the measurements in metric units or at least oz because in cups it sounds a bit too much for some ingredients!? in your recipe you called for a half can of pumkin, but i didnt see where you mentioned the size of the pumpkin can. Is it the large can or the 15oz. I have made this a few years ago and loved it but can’t remember which size can I bought. Thank you. In the recipe, it shows 1/2 cup of pumpkin. Hope you enjoy the sheet cake! This is another visually appealing dessert and pretty simple to make too. Thanks for sharing another great recipe. Heads up let the cake cool before applying the frosting. I didn’t because it wasn’t included in the directions and I ruined my cake 🙁 otherwise everything is delicious! Hi there! LOVE this recipe. I get so many compliments on it! I don’t know if my friends have noticed, but I can’t ever seem to get all of the cream cheese to blend. I can always see tiny little clumps. Do you recommend letting it soften at room temp, or mixing while cold? Any other ideas on why this is happening? Can I put the mix in a cupcake pan? In the video, it looked like you put in two teaspoons of vanilla, the recipe said one teaspoon of vanilla. Confused.